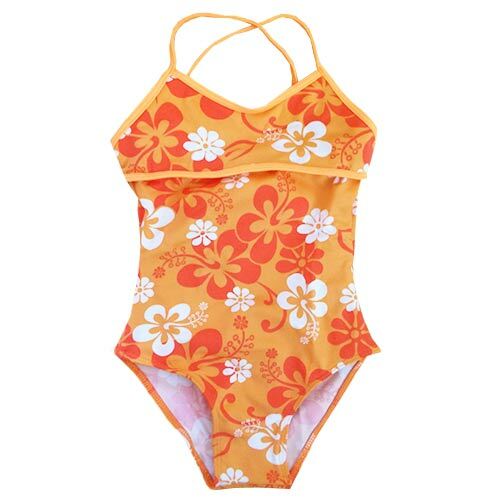 Girls One Piece Passion Orange. Print Name: Passion Orange, Bright Orange trim. Sport top with adjustable cross back straps that tie, open scoop back. Full coverage in bust, hip, and rear. 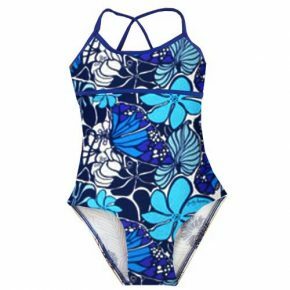 The sizes indicate the approximate age, however since this one piece fits slightly small, please go up a size (example: 4T will fit a three year old, and 12 will fit an average 10 year old).